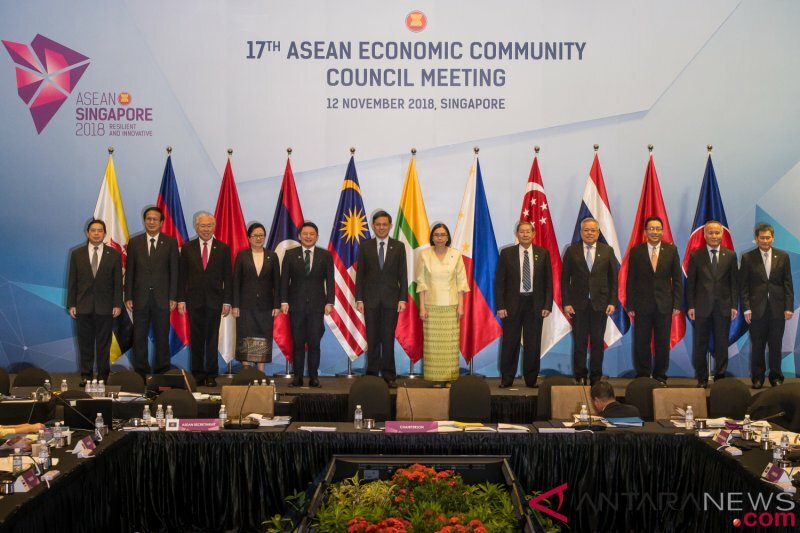 The 17th ASEAN Economic Community (AEC) Council Meeting was held in Singapore yesterday as part of the 33rd ASEAN Summit and Related Summit Meetings. Apart from taking stock of regional economic integration efforts during the year, it also reiterated ASEAN’s commitment to free and open trade by deepening the integration of its economies and realising the AEC Blueprint 2025. The blueprint seeks sustained and long-term growth for the ASEAN region. The meeting was attended by the ASEAN Economic Ministers and AEC Ministers. They signed the ASEAN Agreement on e-Commerce, Concluded the ASEAN Trade in Services Agreement (ATISA) and Finalised the Fourth Protocol to Amend the ASEAN Comprehensive Investment Agreement (ACIA). The agreements will help create a more conducive environment for the growth of e-Commerce in the region through advancing trade rules in e-Commerce and building up greater digital connectivity in ASEAN. It also seeks to deepen the integration of ASEAN services markets and introduce commitments related to services trade, thereby creating a more liberal, stable and predictable environment for service suppliers in the region. The ACIA agreement will introduce stronger commitments prohibiting the imposition of performance requirements on investors, and help ASEAN remain an attractive and competitive investment destination.